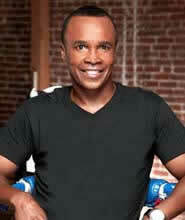 There is little doubt Sugar Ray Leonard is one of the finest atheletes to ever grace the sport. Victories over Hearns, Duran and Hagler alone earn him a place in any debate on the greatest fighter of all time. It isn’t a crown he could claim but he isn’t out of place in the discussion. 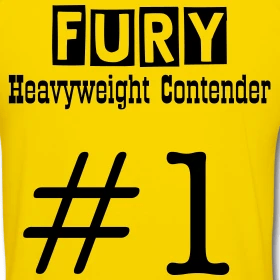 However, following a brief spell as a promoter after his final retirement he has returned to the consciousness of boxing fans as the face of The Contender series – a show pitting peripheral contenders against one another in a last man standing format. The series has proved popular enough in America, where both series winners and many of the supporting fighters have gained acclaim and recognition beyond their ability and potential. Plucky fighters like Alfonso Gomez, the Welterweight who upset Peter Manfredo Jr in the opening bout of the first series to club-fighters like Anthony Bonsante who suddenly developed credibility and an ability to shift tickets. First series winner Sergio Mora is also being considered for a Middleweight title defence by Jermain Taylor and of course Joe Calzaghe is utilising Manfredo’s renown in the American market to excuse his selection for a WBO Super-Middleweight shot his frame and record cannot justify. News of the British versus America Contender show drew attention back to the sport and was welcome, the two countries competing for the Sugar Ray Leonard Cup. However, whilst here it seems the Sugar Ray name and its associated brevity is being callously used to promote both the Calzaghe contest, implicitly at least, and Amir Khan’s abilities. Today’s release regarding Amir Khan illustrating the shallowness of the connection to those willing to look beyond the headline. Apparently, Sugar Ray regards Amir Khan, to whom the American is a childhood idol, as a “huge prospect” and the “total package”. All well and good because Khan has talent – perhaps not as much as we’re led to believe and how well he ‘catches’ is open to conjecture too – but he is undeniably a fighter with a future but the press story also suggest Leonard is actually speaking on no personal exposure to the Bolton born Olympian. In short, someone whispered, ‘while you are hear Ray, say something nice about Amir Khan’. I suppose it would have been dereliction of duty on behalf of Khan’s promotional team, Sports Network – who by coincidence also promoter the Contender show and Calzaghe v Manfredo – to fail to capitalise in this way. But to me it represented a nauseous over-use of Sugar’s name.